I do have a vacuum now because our new house has carpeting in the bedrooms, but I still sweep daily! Having a few high quality household tools can really make caring for your homestead much more enjoyable. 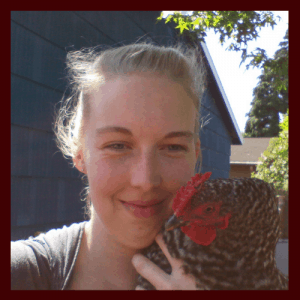 If homesteading is all about making do and doing without, you’ll get burned out super quickly! Make sure you make room for the things that bring you joy too! So, what are some of your favorite ways to save energy, while having fun and enjoying life at the same time? Share in the comments below! I was smiling the whole time I read this post! I have been fantasizing about being done with vacuums for a few months now. I put the upright downstairs, rolled up the high pile rug for giveaway, and squeeled to my husband, “I’ll NEVER have to vacuum again! !” We got wool rugs for by the doors, which can be beat/shaken. But I still use the canaster vacuum every week. I should just put it downstairs too and give the broom a full test drive. When the vacuum bags are all gone I really don’t see myself buying more of them. I know that I will not use it in our next house, so it’s just deciding when to make the jump. I need a good dustpan to give the broom a fair chance though… unless cardboard still works! I was so excited the day I sold my big vacuum. I had let it sit for a few months before I was really sure I wanted to live without it. I do have a little hand held vacuum (just in case) and I’ve never used it. You need a dustpan though! At least I do! But I have lots of pet fur and kid dirt, and it blows off easily while I’m throwing it away. I feel like the house is cleaner because all the dirt comes up with a broom instead of getting ground deep into the carpets. Broom switch update – All is well! I still need to get a good dust pan. We have one that doesn’t lay evenly on the floor, which is quite pesky. It feels so good to make this change. Feels like I am lighter on the inside. It is nice to share it with someone who understands! Awesome! I’m so glad to hear it’s going well! I actually broke one broom beating rugs once, but it was plastic and old… Yeah, a good dustpan is super nice to have. Congratulations on the switch! Love this idea! Thanks for sharing. 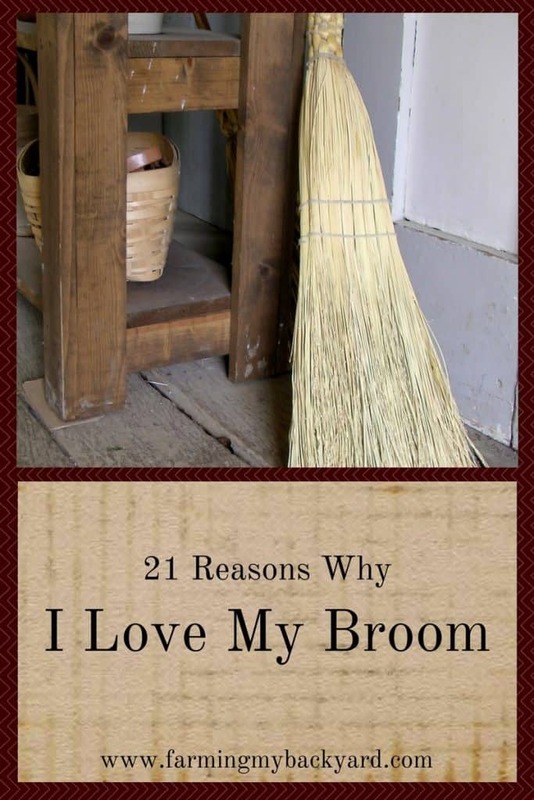 I love my broom too.